There are currently over 2 billion people active on social media. If that number seems impressive/intimidating enough on its own, consider the fact that those active users, on average, have seven different social media accounts to their name. So, what does all this mean for businesses trying to make an impact in the online space? For starters, social media is the place to be right now. If your business does not currently have a social presence and is not actively trying to build social proof around your brand, that needs to be a primary goal this year. Secondly, this vast global audience, spread out across a multitude of platforms, also means more work for businesses. If Internet users average seven social media profiles apiece, then so too should business Internet users. Unsurprisingly, WordPress makes it extremely easy for businesses (and other entrepreneurial individuals) to integrate social media into their online marketing strategy and website. 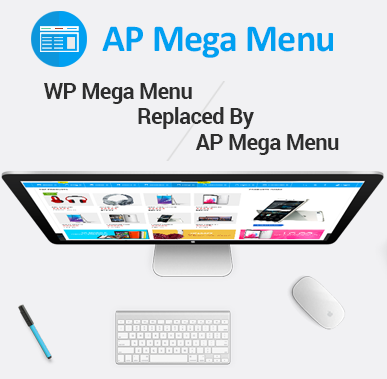 As you may have already guessed, WordPress plugins will provide the manpower businesses need in order to do this. In the following list of 15 free and premium WordPress plugins, you’ll find super-popular and high-quality plugins that will solve a number of social media-related tasks and goals right from inside WordPress. With a variety of features, targeted social platforms, functionality, and levels of automation, these plugins allow you to flexibly start and continue your work in social media as you scale your marketing efforts. Wouldn’t it be great if every piece of content published on your site got shared on social media? While there’s no way to ensure that’ll happen every time, you can improve your chances by integrating social media icons within your content. Looking at this realistically, you probably won’t want to include hundreds of social media icons on each post or page of your website. For one, it’ll look really messy. Secondly, what are the chances your audience will want to share your content 100+ times on each profile (if they have that many)? Like with everything else you do to market your business, it’s best to keep it simple. MashShare is a good place to start. The free version of this plugin includes Facebook and Twitter share buttons that can be embedded within your posts, as well as an RSS feed or blog, Subscribe button. This plugin also includes a new column within your WordPress Posts page, allowing you to see how many people shared your content. Did you know that you should be posting on Twitter multiple times a day? It might seem a little crazy to spend that much time on a single platform, but here’s why. With Twitter averaging roughly 500 million tweets every day, it’s easy to get lost in the shuffle. So, if your tweet game is on point and you’re able to share those interesting nuggets a few times a day, think about including a Twitter feed on your site to let people know what you’re doing. With this plugin, you can import tweets from any account. So if your founder and CEO is active on Twitter, you can include his or her tweets alongside your brand’s. And because this is a premium plugin, you have a lot more options in terms of customizability so your Twitter feed meshes well with the rest of your website’s design and vibe. Now, if you’re looking to make a bigger splash on social media right out of the gate, you can turn to a WordPress plugin like this one. There are over 100 different social media icons available (not that you’d need that many, but it’s still good to know you have options) and there’s more flexibility in the placement of them. Now, if you happen to have a website that’s already making use of animation, this may be the free WordPress plugin you’ll need. Not only does it offer 30 different icon theme options, but it also enables users to choose how they want to animate their icons (if at all). Floating icons can bounce, fade, fly in from the top/left/right/bottom, scale, etc. Widget that includes your most popular posts based on social media shares. If you were to merge all of the high points from the plugins above into a singular free WordPress plugin, you’d get this one. With icons for over 200 social media platforms, email services, and RSS feeds, and more than 15 icon themes to choose from, this is one of the more epic sets you’ll find for free. Choose the social interaction: share the post, like our page, etc. Beyond just encouraging visitors to share your site’s content on social media, have you found any other strategic uses for social icons? If you haven’t heard of social lockers before, then listen up. 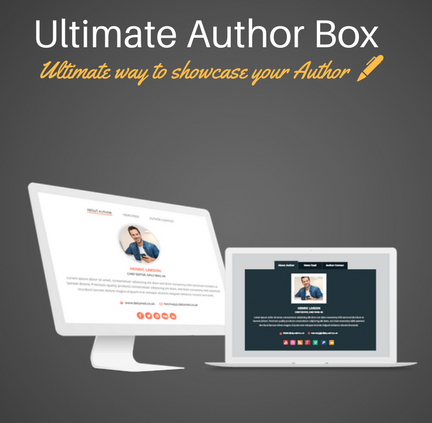 This premium plugin will lock some sort of valuable content (e.g. e-book, white paper, free gift) behind a “social locker”. In essence, you’re asking visitors to give your site some friendly words of support on social media in exchange for this highly valuable giveaway of your choice. Seems like a pretty fair trade, right? Now, for those of you in charge of running more than one WordPress website (marketers and developers, I’m looking at you), take note of this premium plugin. If you look at all the features that come with this social icon plugin as well as the way they price this out (i.e. based on the number of websites you have), you can tell that this was made specifically for you. Let’s say you’re already using one of the social share plugins from above and have analytics activated so you can tell who’s sharing your content the most. You find out that your audience is especially active on Twitter, and you want to make it even easier for them to share your well-phrased bits of wisdom. This WordPress plugin isn’t like the typical social share plugin that embeds icons into a post. This one instead creates callouts from your text that people can click on and instantly share in their own Twitter feed. So, if you know that you’ve got quotable/shareable bits of text, you can use this plugin to bring better attention to them. If you’re actively working on developing a presence across social, then why not integrate snippets of your feeds into your website? If visitors weren’t previously aware of your social-savviness, they’ll be impressed with what they see in these social media feeds. Another popular type of social media feed you’ll find businesses including on their websites is the Instagram feed. Unlike Twitter that specializes in rapid-fire news-style tweets, Instagram is all about the pictures—and what better place to display your high-resolution photos than your responsive and retina-ready website? This free Instagram Feed plugin is easy to set up and gives you the ability to customize how exactly you want to display your feed on-site. By including a follow button and direct links to your Instagram posts, you’re giving visitors another reason to engage with your brand on social media. For those of you who are already super-active on social media, why not merge all of your regularly-updated feeds into one? Your followers will love this since they can keep track of all your updates in one place. And you’ll love this too since it’s yet one more way you can demonstrate both your social awareness and social proof. With this premium plugin, you can merge over 15 different social media feeds into this single tool. And since this works with Visual Composer, this plugin is easy to manage for WordPress pros and novices alike. Website visitors shouldn’t be the only ones spreading the word about your brand on social media. Once you’ve given visitors a way to share your content and you’ve established a good base of followers on your social media pages, it’s time for you to give your own content a good push. You can do it manually within each platform, you can hop into a platform like Buffer or Hootsuite, or you can do it all from WordPress. The choice is yours. Jetpack is WordPress’s solution to… well, a whole lot of different things for your website. It’s a pretty bulky plugin though, so if you’re only looking for something to help with social media, you’d be better off sticking to the other plugins on this list. If you’re already using Jetpack for its other features, then be sure to put its automatic social sharing functionality to work for you. What specifically does Jetpack do for social? Well, it takes the manual labor out of sharing content on your own social media platforms. Simply link up whichever accounts you want to share to, and then let WordPress take care of automatically sharing your content when it publishes to your website. You undoubtedly put a lot of hard work into creating content for your website, so why let it go to waste by only sharing it right after it’s published? While most WordPress plugins focus on that one-time/hope-for-the-best push, this one will help you keep older content cycling through social media. So long as it’s still relevant, why not? Once you’ve got your content generation and social media marketing efforts rocking-and-rolling, it’s time to integrate the two and automate as much of it as you can. This freemium plugin will help you do just that, giving you an editorial calendar built right into WordPress that you can use to schedule content creation tasks and, consequently, it’s promotion on social media. Giving visitors a way to easily share your content on their favorite social platforms. Giving visitors a taste of how valuable, insightful, or entertaining it might be to follow you on social. Giving visitors a way to like or follow you on social via your website. Giving yourself a way to share your own content on social without having to step away from WordPress. 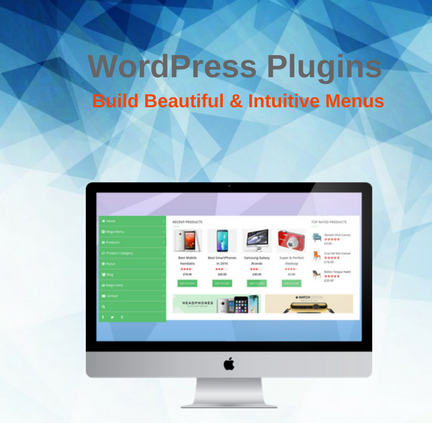 The WordPress plugins mentioned above are not only well-rated and highly reviewed, but they also promise to give the biggest bang for your buck. Right now you might only need to integrate a few social share icons onto your website while you ramp up, but maybe your business will expand enough in six months where you need more social power and social proof. Hold onto this list so you’ll know where to turn to when you need it. DailyHosting.net where the focus is on reviews like this HostMonster review. Hey Buddy!, I found this information for you: "15 WordPress Plugins to Make a Splash on Social Medias". Here is the website link: https://access-keys.com/blog/15-wordpress-plugins-to-make-a-splash-on-social-medias/. Thank you.